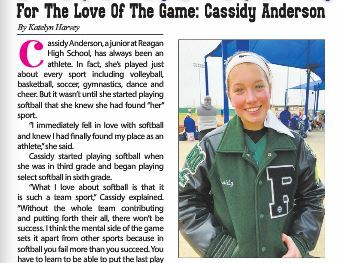 You can read about Reagan Softball’s, Cassidy Anderson in this month’s issue of Stone Oak Highlights. See story beginning on page 17 at http://www.stoneoakhighlights.com/. Thank you SOH for showcasing our Reagan athletes! Way to strike ’em, Cassidy!